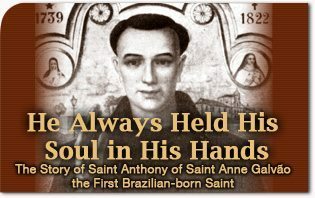 On May 11, the first Brazilian-born saint, Anthony of Saint Anne Galvão was canonized in Campo de Marte, São Paulo, Brazil, with an estimated one million people in attendance. Saint Anthony has been venerated in Brazil for centuries. However, the saint’s influence is spreading throughout the world. The following story happened here in the United States. In October, a Catholic mother of four was ecstatic when she learned she was pregnant with her fifth child. However, when she went to the doctor to get an ultrasonic first glimpse of the child, she received the dreaded news that there was no baby in her womb. Furthermore, hormonal tests seemed to indicate that she was no longer with child. Devastated, she returned home. Her pro-life doctor was so certain of a miscarriage, he told her to come back in a week to schedule a D&C. She was little consoled, but decided to give it a try. Since she did not have time to order the “pills” from Brazil, she simply wrote the phrase on a small piece of paper and swallowed it. “I believe in little miracles and big ones too,” she replied. Overcome with emotion, the mother returned home. A couple of weeks later, she learned that Father Galvão was due to be canonized shortly before her delivery date. Full of gratitude, the family celebrated the saint’s canonization and decided to name the child Anthony, in honor of the saint they believe saved him. Saint Galvão’s prodigious assistance from Heaven is not surprising to those familiar with his life. Anthony Galvão was born in 1739 in the village of Guaratinguetá. His father, also named Anthony, belonged to an illustrious Portuguese family and was well educated, as evidenced by his writings. He excelled in business, the military and public administration, leading him to serve well as the village mayor. Anthony was the forth of ten children. Three died in their infancy and the other six married and left many descendents. However, Anthony always felt inclined to the religious life. At the young age of 13, he left the family home to pursue priestly studies at the Jesuit “Belém Seminary” in Bahia, where he remained for the next five years. While there, he received an excellent formation. Shortly thereafter, he became a novice in the Franciscan monastery of Saint Bonaventure of Macacu, in the capital of Rio de Janeiro. In religious life, he adopted the name: Friar Anthony of Saint Anne Galvão, as a sign of his devotion to Our Lady and because Saint Anne was his family’s patroness. He was ordained a priest in 1762, even before he had finished the regular courses of philosophy and theology. This showed the confidence his superiors placed in his virtues and cultural formation. After ordination, he was sent to São Paulo, where he spent several years finishing his studies and graduated, with highest honors. As he grew and matured, his devotion to Our Lady increased. In 1766, he consecrated himself as a slave of Mary. Although this devotion was systematized and developed by Saint Louis de Montfort, who had died fifty years earlier, his writings were not yet known. Nevertheless, the same devotion had been practiced by Sister Agnes of Saint Paul, a Spanish Conceptionist nun, and had gained papal recognition a century before Saint Louis de Montfort. Almost immediately, many famous historic figures began practicing slavery to Our Lady, such as: Holy Roman Emperor Ferdinand II and his wife, King Philip III and his wife Margarida, Austrian archduke Albert and his wife Elizabeth and, of course, Father Anthony Galvão. He extended his apostolate, by walking to all the cities surrounding São Paulo. Throughout the region he was known and admired for his virtues. In 1770, he was named confessor of the Retreat House of Saint Theresa. While there, he met Sister Helen Mary of the Blessed Sacrament, who had spent many years living in austerity with the community. During this time, she received visions from Our Lord, Who commanded her to found a new retreat house in São Paulo, where ladies would live as religious, without taking vows. She confided this to Father Anthony and asked his advice. Balanced and prudent, he was slow to approve of the project. He carefully examined all the circumstances surrounding the supposed apparitions, analyzed Sister Helen’s psychology and recommended that she take much care, so as not to be fooled by the devil. After much study and thought, he concluded that Sister Helen’s visions were authentic and therefore that the construction of the new house was the will of God. Since he was suspicious of his own judgment, he consulted other clerics who were well known for their wisdom and learning. Unanimously, they agreed with Father Galvão’s decision. However, construction of a new retreat house seemed impossible. The impious Marquis of Pombal was then a highly influential minister of the Portuguese King Joseph I. He influenced the sovereign to prohibit the foundation of any new convents in all Portugal’s lands, which of course included Brazil. Neither Sister Helen nor Father Anthony recoiled before these seemingly insuperable obstacles, but rather both busied themselves in the project, convinced that if it were truly God’s will, the retreat house would eventually become a reality. Sister Helen wrote a letter to the Governor of São Paulo, Dom Luiz Antonio de Souza Botelho e Mourão, a noble and pious man. In it, she outlined her plans for the retreat house and asked for his support. A month later, he responded and pledged all the construction costs. He saw the project as a means of honoring his family’s two special patrons, Our Lord in the Blessed Sacrament and Our Lady of Delight. Thus, his pledge was made on the conditions that: the retreat house would have perpetual adoration of the Blessed Sacrament, Our Lady of Delight would be made the institution’s patroness and the “nuns” would pray for two intentions: the eternal salvation of he and his family and that he would always remain in the service of God, the King and those for whom he was responsible. Attaining Portuguese approval for the project was the next challenge the governor faced. The way he conducted himself, demonstrated the flexibility and shrewdness for which Brazilians are known. He drafted the proposal and sent it to Portugal in a package full of other governmental documents, hoping it would be overlooked. His hopes were realized when the response came with no mention of the retreat house. Unknowingly, the government in Lisbon had given tacit approval for the project. Even before governmental permission had been secured, however, the community had been informally established. Sister Helen came to be called Mother Helen Mary of the Holy Ghost and eight young ladies lived a conventual life with her on the site of the future retreat house. One year later, Mother Helen died in the odor of sanctity. It was a great blow for the aborning community. Losing their foundress was by no means the least of the “nuns’” problems, but neither was it the worst. In June, Governor Luiz’s administration came to an end and a wicked man named Martim Lopes de Saldanha replaced him. Governor Saldanha despised the new community. One of his first acts as governor was to persuade the bishop to order its closure. The weak bishop conceded to his wishes and ordered Father Galvão to board up the building. Everything seemed lost. Nevertheless, true obedience does not mean one must be a drone. Perhaps it was the formation Father Galvão had given the “nuns” that taught them this lesson. They analyzed the Bishop’s order and, seeing that it only commanded them to close the house, but not disband, all but three secretly continued to live as religious behind the boarded windows and doors. Doing so required heroic confidence. They had no food or water on the premises and could not ask help from anyone outside their walls lest their presence be betrayed, which would almost certainly provoke the bishop to disband them. The amount of work was tremendous. They endured hunger and miseries, maintaining the absolute resolve to remain…They ate without flour or salt, abandoning themselves entirely to Providence. After some time, even their benefactors from the city gave up hope that they were there, since all the doors were shut and the convent showed no signs of life. However, God, Whose Providence especially protects those who serve Him with constancy, manifested His love, sustaining them with His grace and working miracles, two of which are described below. The first was when the “nuns,” having spent several days without water, resolved to implore God’s mercy. They met in the choir and began to pray, fervently. Immediately, the sky clouded over and began to thunder. A torrential rain began and continued until all the vessels they had in the house were filled. Shortly afterwards, the rain stopped. The other miracle involved a strawberry patch that was within the walls. The “nuns” ate all the tender leaves and shoots that grew, since they had no other food. Nevertheless, the patch grew so much and produced such an amount of fruit that the “nuns” were not able to eat it all…many strawberries were left out to rot. Our Lord did not leave them in this state of desperation for long. In less than two months, the bishop lifted the ban on the retreat house and the community again began to prosper. The retreat house, which became know as the “Convent of Light,” was not destined to suffer persecution for the whole of Father Galvão’s life. The Portuguese viceroy, who had jurisdiction over São Paulo’s governor, was favorable to the convent. When he heard of its closing by Gov. Martim, he immediately sent a letter, reprimanding the politician. While this eased the pressure against the retreat house, it hardly assuaged the persecution the governor waged against Father Galvão. Shortly thereafter, the minister unjustly condemned a soldier to death. 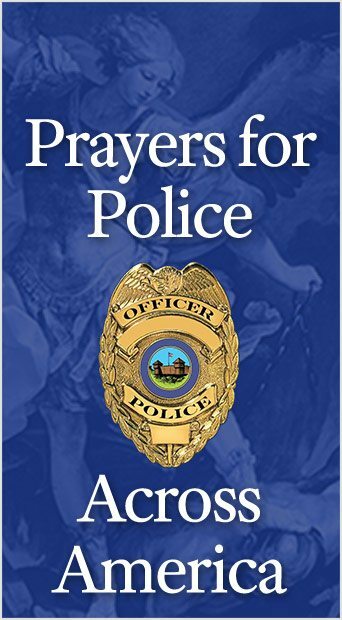 Saint Anthony pointed out the injustice and united his voice to many others in protest. The proud governor condemned Father Galvão to exile and ordered him to leave immediately for Rio de Janeiro. As always, Father Anthony held his soul in his hands and immediately prepared for departure, without a word of complaint. However, before he left the city, the citizens of São Paulo rose up to defend him. They threateningly circled the governmental palace and obliged Gov. Martim to rescind Father Anthony’s sentence. When he did so, the saint calmly unpacked and continued his ministry in São Paulo. In 1782, Governor Martim left office and the public authorities never again persecuted the Convent of Light. No report on Saint Galvão’s life would be complete without narrating some of the many miracles he performed. These marvels were often subtle. For example: on a trip he made through the Brazilian countryside, he arranged to stay the night with a couple he had befriended. Taken aback, the couple agreed, all went to sleep and the next morning, Saint Galvão moved on to another city. Much to the couple’s delight, from that day on they never argued again. The astonished transient left, no longer doubting the priest’s sanctity. In addition, Saint Anthony was known to levitate during prayer and bi-locate to bring the sacraments to the dying. After the persecutions of the Convent of Light ceased, Saint Anthony dedicated himself to finishing construction on the convent and its chapel and spiritually forming the community. He wrote the “nuns” a rule of life that they continued to use until 1929, when they received official Vatican approval and joined the Conceptionist order. The construction work was another matter. All in all, Saint Anthony dedicated 48 years to building the chapel and convent. During that time, he served as architect, engineer, superintendent and manual laborer. Saint Anthony died in 1822, before the completion of the church’s tower. While suffering in his final illness, he designed the tower and wrote its architectural plans on the wall of his sickroom. He was buried in the beautiful chapel of the Convent of Light that he had spent his life constructing. During life, he maintained strict poverty for himself and his “nuns.” However, he spared no expense in building the House of God. He constructed the Church of the finest materials and richly decorated it. The magnificent complex still stands today, where pilgrims visit the shrine and beg favors while venerating the saint’s remains. This article is a summary of an article published in the monthly Brazilian magazine Catolicismo by Armando Alexandre dos Santos. It was translated, edited and summarized by Michael Whitcraft, who also added several sections and facts. All this was done without the author’s revision. All facts herein contained come from this Catolicismo article and the book, Frei Galvão, Bandeirante de Cristo(Portuguese), written in 1954 by Maristela. These tiny pills, made out of rice paper, bear words that read, in Latin, “Post partum Virgo, inviolata permansisti, Dei Genitrix, intercede pro nobis” (After birth, the Virgin remained intact, Mother of God, intercede on our behalf) and are associated with numerous miraculous healings as well as the intercession of Friar Galvao. They are the prime devotional example of Friar Galvao’s significant reputation as a healing saint, and for that reason they deserve some study and background. [The pills are] assembled in five locations around Sao Paulo state, including by women in Galvao’s hometown of Guaratingueta, who gather every afternoon in a room above the local cathedral. The pills also are made by cloistered nuns at the Convent of Light in Sao Paulo, where Galvao died in 1832 at age 83. The monk started the tradition of the pills in the late 18th century when he wrote his famous prayer on three pieces of paper in Sao Paulo and asked a woman who was having a difficult pregnancy to eat them. She reportedly went on to give birth to a healthy child. Demand for the pills surged.Things get even more interesting because both of the two documented cases of miraculous healings that were used in Galvao’s canonization process involved the consumption of the his pills. Most Holy Trinity, Father, Son and Holy Ghost, I adore, praise and thank Thee for the benefits which Thou hast done for me. I beseech Thee, for all that thy Servant Friar Antonio de Santanna Galvão suffered and accomplished, that Thou increase my faith, hope and charity and deign grant me the grace that I ardently desire. Amen. Say the Prayer to the Holy Trinity for nine days. Take three pills during the novena: one on the first day, another on the fifth day, and another on the last day of the novena. This entry was posted in Catholic Perspective and tagged Anne, Anthony, Antonio, Apostle, archduke, Blessed, Bonaventure, Brasil, Brasileiro, Brazil, Brazilian, Campo de Marte, Catholic, Catholic Perspective, Catolicismo, charity, Church, Confessor, Convent of Light, Convento da Luz, de Barros, devotion, doctor, faith, Father, Fernão Dias Paes Leme, figure, Franciscan, Frei, Friar, Galvao, governor, grace, healing, historic, holy, hope, Isabel, King, Louis, military, miracle, Monastery, Montfort, novena, nun, pills, Portuguese, Preacher, Queen, retreat, Sacrament, Saint, Santo, Sao Paulo, seminary, slavery, TFP, Theresa, trinity by Michael Whitcraft. Bookmark the permalink.